You can only get this instrument here! 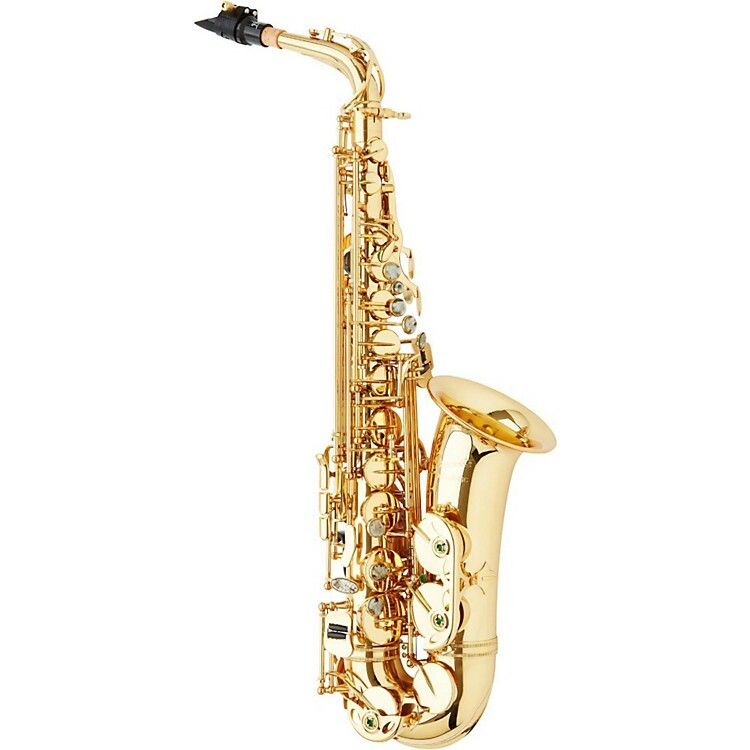 The PMSA-57GC is the perfect step-up saxophone. It features a yellow brass body with yellow brass keys and has a range to F#. Appointments include abalone key touches and blued steel springs for an appearance as engaging as its sound. This horn has a warm core tone with excellent projection and is a perfect choice for a developing player seeking an instrument with the flexibility to play a variety of different styles. The PMSA-57GC is available in two separate accessory bundles, one with a classical orientation, the other with more of a jazz lean. You may select either package from the dropdown menu. The Classical accessory package is designed to complement the horn and give its owner the best possible mix of premium accessories. The mouthpiece is a Vandoren AL3 and the ligature is the Vandoren M/O Antique Lacquer. This package comes standard with Vandoren Traditional Alto Saxophone reeds (strength 3). The new Vandoren Standard saxophone strap and a supply of Collins cork grease round out the package. Ir comes with a cordura-covered hardshell case, complete with backpack straps and a spacious pocket to store plenty of additional items. The Jazz accessory package features a Meyer hard rubber 6M mouthpiece with a Rovner Platinum ligature designed for hard rubber mouthpieces. It comes equipped with Zonda Premium Alto Saxophone reeds (strength 3). Rounding out the package is the new P. Mauriat premium saxophone strap and a supply of Collins cork grease. Completeing the package is a cordura-covered hardshell case with backpack straps and a spacious pocket to store plenty of additional items. Order now for this limited run of intermediate altos.